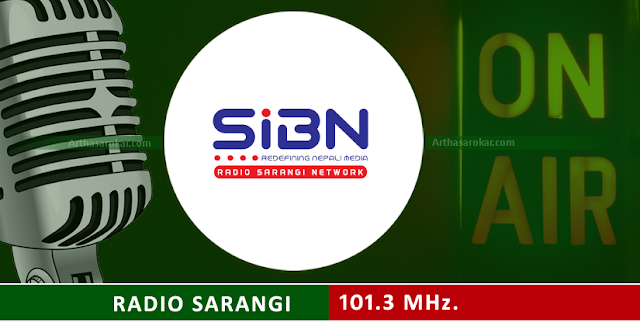 Radio Sarangi Network the largest operating network in Nepal which extends its coverage over 30 districts as well as the surrounding territories of the neighboring India. Radio Sarangi Network started its transmission from Western Nepal (Pokhara) and Eastern Nepal (Biratnagar) relay stations while Kathmandu being the central station. Since its establishment, Radio Sarangi has been broadcasting through 101.3 MHz and in 2013 it started its western transmission through 93.8 MHz from Pokhara.